"Convening is about being open to relationship rather than closed. It is a challenge to choose to stay connected and open when our lives and schedules are full and our time is precious." Once you have gained and practiced the skills from the Art of Convening, the learnings and processes don't stop! Leadership is an ongoing learning process full of new information every day. Convening skills support engaged, effective leadership. In order to see the most improvements in your convenings, how do you continually advance your skills? It's always about intent; sometimes it takes a little extra courage. Below, we provide insight to an encounter with one of our clients and how we helped them further their convening skills. A client contacted CPL for a consultation on developing and conducting a meeting for 300 people. 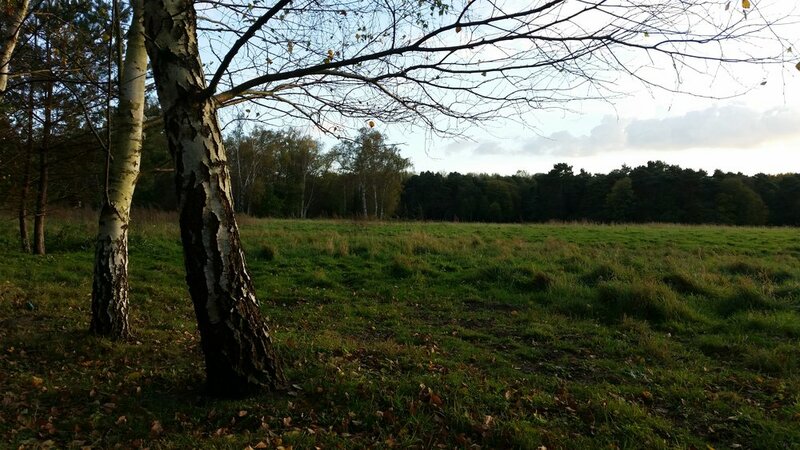 This client had previously taken the Art of Convening Training and heard about the concept of suspending certainty. He inquired about how to practice suspending certainty in an upcoming meeting for an international audience. Here is what he learned: Practicing suspending certainty is one of the subtle methods that greatly advances your convening skills in conversation. Within the Art of Convening training, we employ these techniques for suspending certainty. Listen for the context and value of the conversation. Be Inquisitive. Notice and utilize opportunities to ask for clarifying questions before responding with an answer. Be patient. One of the ways to practice suspending certainty is to think about the times when you are asked a question and notice if you have any tendencies to respond quickly with an answer. Sometimes the person asking a question, in fact, wants to be listened to while they talk out loud and come to their own conclusion. Set the tone of the meeting withagreements. Create an open floor; invite attendees to notice judgments and speak for their self. Invite attendees to discuss and voice their opinions. Incorporating these practices will assist you in adopting suspending certainty in your meetings and conversations. These four steps will also help to improve the value of your meeting by creating an open environment where your attendees feel welcomed. A welcoming setting creates a platform more people to engage and discuss. 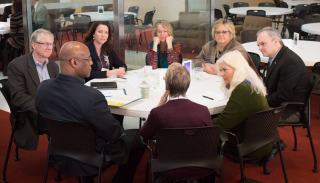 Are you looking to improve and advance you convening skills? Check out CPL's training programs here to get started today. What won’t I stand for? What are my values, boundaries? Who do I stand with? 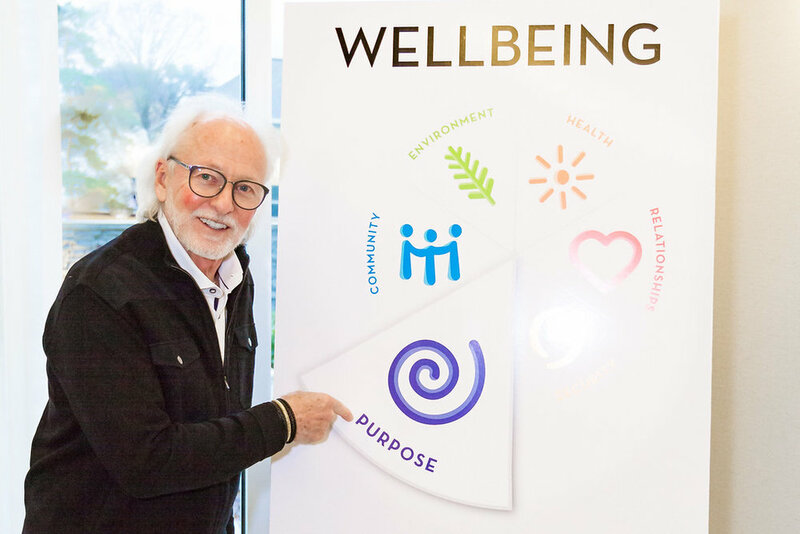 Since we last saw Richard at our conference, he continues to coach and speak on finding and leading a purposeful life. 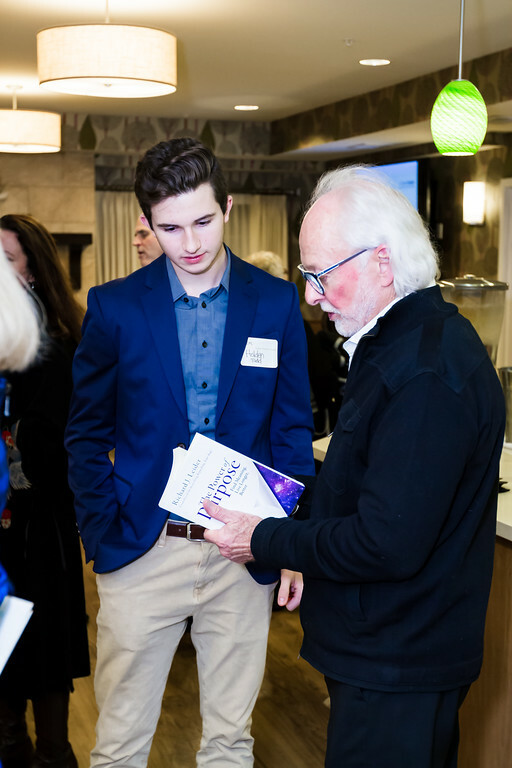 At a leadership breakfast in February, Richard spoke about the power of purpose and how to activate your purpose daily. 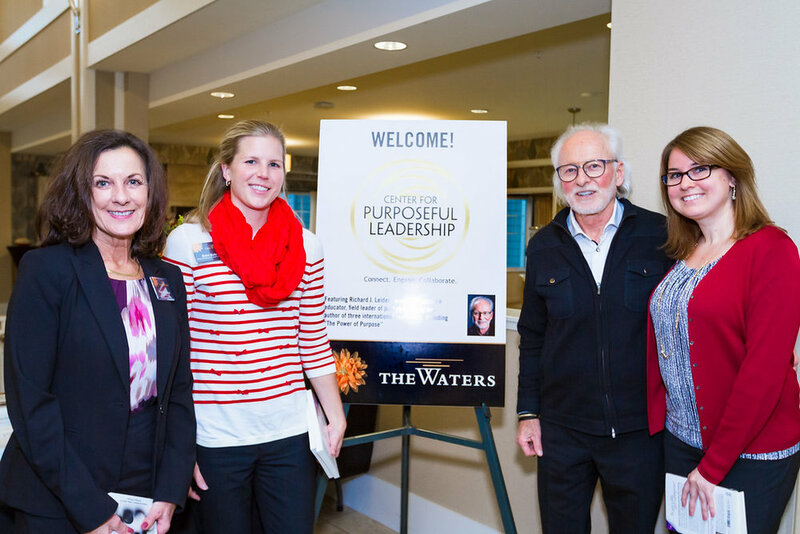 Richard also spoke at St. Cloud’s Well-Being Summit, addressing the importance of “Working on Purpose. Living on Purpose. Leading on Purpose." Later in February Richard led a Webinar on Repacking On Purpose focusing on life transitions. cpl is fortunate to have a friend as visionary, influential and inspirational as Richard. 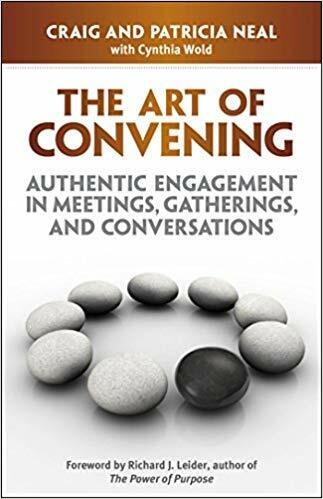 Check out Richard's foreword to our book The Art of Convening. If you or your organization are interested in convening with more purpose, call us today at 612.920.3039 to begin your journey. For more updates on CPL and other leaders in the community, connect with us on our LinkedIn page. "I am inspired by people who have gone through enough in their lifetime, a crucible event perhaps, that they are ready to make shifts in their lives." Recently, CPL had an opportunity to sit down with Craig Neal, co-founder of Center for Purposeful Leadership (CPL) formerly Heartland Group. Craig Neal celebrates life as a passionate change leader, publishing executive, author, trainer and executive coach to those called to create profound contributions in their life and work. As an executive coach for over 20 years, Craig assists leaders to integrate their inner calling with maximizing their organizational leadership potential. He also founded the Thought Leader Gatherings (TLG), a membership based leadership community which served over 800 companies and 4000 leaders in its 18 consecutive years of convening. The TLG lead to the Art of Convening training series and eventually to the publishing of the Art of Convening book with his wife and partner Patricia in 2011. CPL: What inspired you to co-found Heartland? CN: 20 years ago, as publisher of Utne Reader, I had access to a plethora of leading-edge information, I saw and experienced a sea-change occurring in the world. It was the mid-90s, the world was getting smaller due to the rise of multinational corporations, personal access to computers and therefore greater flow of vast amounts of information to individuals. As an early subscriber to the Whole Earth Catalog, I was struck by the cover quote “We are as gods and we might as well get good at it.” on the 1st edition in 1970. What that meant to me then and now, is that, as humans, we have a tremendous opportunity to contribute to and shape a different future than the one I was experiencing. I realized that leaders are the conduit and organizations a delivery system through which a global renaissance could occur. Where there is a shift in consciousness and how we, as leaders, can lead in a way that brings meaning and purpose to those around us. This could contribute to a world that works for all in my lifetime. What a goal! What an outrageous concept! CPL: What does a world that works for all look like? "CN: People are engaged in meaningful work, at whatever level that is, have enough to eat, are socially and spiritually nourished. We care about one another’s well-being." Seeming complex, it is a simple shift in consciousness. 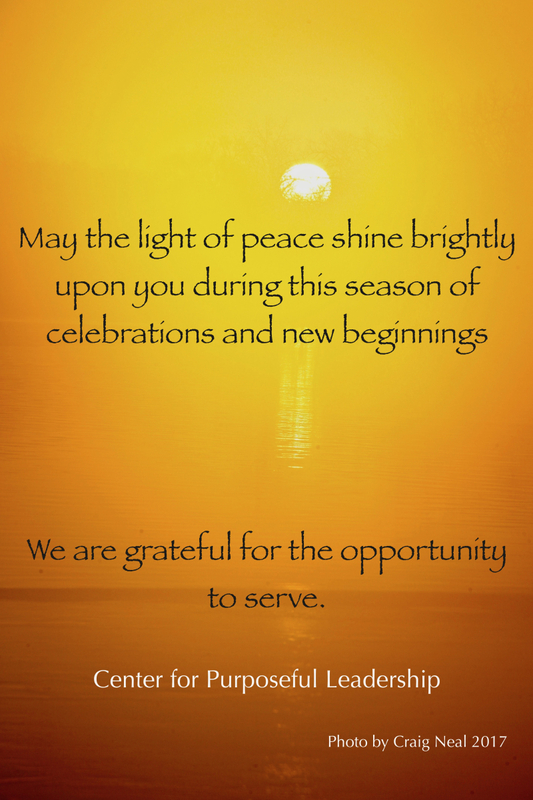 From resignation of what is, to the possibility of something bigger and a benefit for all. So, since leaving Utne and starting CPL, my vision and mission have been to support leaders to awaken their life’s purpose and responsibility, we could be conduits for this new way of thinking and being. Heartland was formed to serve and support those leaders in transforming themselves and their organizations for the sake of a world that works for all. CPL: In your varied career, including Publisher of Utne Reader, and then co-founder of Heartland/CPL, you’ve had the opportunity to work with and coach some amazing people spanning many disciplines. Who has inspired or does inspire your leadership? CN:I am inspired by people who have gone through enough in their lifetime, a crucible event perhaps, that they are ready to make shifts in their lives. There is a humility to when you know you don’t know all the answers, are vulnerable and willing to live with ambiguity, but you are open to possibilities. People who have or are reaffirming their values. Their non-negotiable values. CPL: As a thought leader and visionary, what captures your attention these days? CN:I consider myself to be a fellow traveler, just as deeply confounded about what is going on in our world, as anyone else. I AM willing to step forward, to be engaged, accountable and fierce in what I stand for. We are at an inflection point globally. On the precipice of what Marshall McLuan called a “paradigm shift.” The world, as we know it, is basically in free-fall. The institutions and belief-systems that have carried cultures for so long are under siege. What is interesting to me are the people who choose fear and the people who choose life and love. What do we choose? Fear or love? There are definite paths for both; that’s what makes life interesting! CPL: As co-founder of the Thought Leader Gatherings, then Transformational Leaders Collaboratory, you’ve enjoyed 18 years of coaching leaders into their authentic voice. You have worked with some of the brightest minds in the Twin Cities and Bay Area and beyond. You have developed a thought leadership following. Looking into the future, what are some trends on the horizon? CN:The role of “high tech vs. high touch”, a cultural dichotomy, that first emerged 30 years ago, is now a global challenge in every form of society. How we navigate the speed at which technology is expanding with the skills of human development may be the ultimate frontier for humanity. Do we see the world as threatening or nurturing? Do we see ourselves resigned to the status quo or what we know, or are we willing to step outside and beyond to live with courage in a new world, where the boundaries have yet to be set? 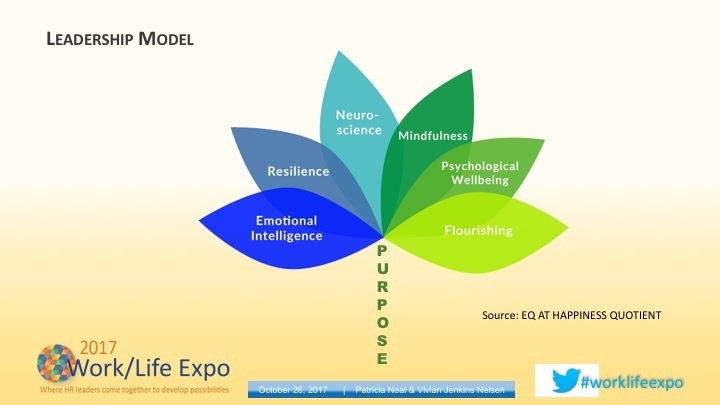 The questions of Purposeful Leadership, a purposeful life: Who are we? Why are we here? What are we to do? Are we willing to lead? Leadership isn’t a thing; it is a state of being. Are we willing to step forward in these times to make a difference? Are we willing to be engaged? CPL: It takes courage to have a vision and courage to found a company. It also takes courage to lead a group of men into the BWCA! How has courage played a role in your position as company co-founder? CN: To live each day from a core life’s purpose, with the conviction that I am contributing to the best possible evolution to the unfolding of an unknown future, takes courage. I’ve not always felt acknowledged, and at times have felt either ahead or behind the curve. My ego has often taken a hit. Having a stake in the ground and acting upon what is in my heart, takes I courage. It’s not necessarily comfortable, but it is what gets me up in the morning. CN: I love to work with leaders and organizations that feel they have tried everything to solve their problems and still wish to keep going into unknown territory. This is when it gets interesting. The stakes are high. That is when people are open to possibility, vulnerable and willing to live with ambiguity. This is the work I love. To see more of Craig’s leadership work, follow us on LinkedIn and subscribe to our blog. Minnesota’s largest energy co-op, Great River Energy, brought a story of courage and transformation to the December TLC. The story involved a rough patch in 2013 regarding the movement from dependence on coal to a more renewable energy approach in electricity. GRE executives took a potentially huge risk to include their stakeholders - customers and regulators - by reaching out and asking for their engagement and advice on the next steps to come out stronger and more successful in the future. Hearing all the voices* to gather a variety of perspectives allowed Great River Energy (GRE) to take initiative in crafting a strategy to grow their leadership and their business. Conversation Starters Kandace Olsen - Vice President and Chief Culture Officer of GRE, Michael Noble - Executive Director of Fresh Energy, and Mike Thorson - Board Chairman of GRE Energy brought and modeled vulnerability, wisdom, courage and excitement for a positive future to benefit all GRE stakeholders. Kandace: this is not my story; it’s our story. No individual hero; many people who created this transformation. Press the SEND button. Michael: I learned from Kandace to use vulnerability as power. It is more important to have vulnerability than to have power. Mike: Remembering that basically we all have much more in common than we realize, is important. The power of bringing people together and doing something simple like sharing a meal, helps me remember that. A special thank you to all of our speakers and those who have spoken with us in the past. Thank you as well to all who were in attendance and who have graced us with their presence at our past TLC’s. It has been a joy to convene with you all. Though we may no longer be hosting TLC’s we are always a phone call away at 612.920.3029 to schedule your next consultation. Follow our LinkedIn page for updates and tips on the Art of Convening.